Whoa.. I just listened to NRPS's "The Last Lonely Eagle" from from their self-title album.. Very beautiful! This is also my first time hearing anything from Magna Carta.. Their music is very soothing. I may need to pick "Seasons" up one day soon. Thanks to Gryphon our esteemed MD member, I have discovered another amazing album ! This is 38 minutes of total musical enjoyment ! The album is instrumental but so diverse that it takes you into a fabulous musical journey that you really hope never ends! You can hear some jazz, as well as folk rock and classical music throughout! It's astounding that this album is 37 years old as it does not sound dated at all. All medieval instruments are used and accolades go out to Brian Gulland for his exquisite bassoon playing...man that must be a hard instrument to play ! Tiggi has listened to this album also and I recommend it to all members ! AllMusic rating: 4/5....My Rating...... 6/5 ...it's that good !!!!!!! ^ This is an excellent album .............The others are great too and show quite a range of their style. Nice to be able to go back to trust and friendship!!!!!!!!! I have Lord of the Ages very close to the top of my " music to listen to " list!!!!!! That is well worth a listen! tje1 Wrote: Thanks for sharing! SteveO Wrote: AllMusic rating: 4/5....My Rating...... 6/5 ...it's that good !!!!!!! MD's first improper fraction score !! 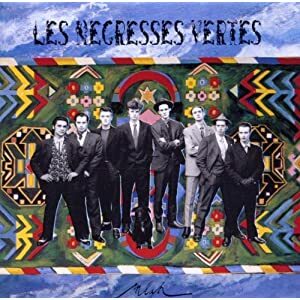 French/Spanish/Algerian band's debut, from 1988. This lot share much in common with Gogol Bordello, except language cos this is in French. High energy takes on assorted indigenous music with lots of Brass & Accordion. A sure-fire Buy Lister. This is only the second Magna Carta album that I have had the pleasure to listen to on the advice from Mr. Gryph! ...and I'm glad I did ! What a masterful piece of work ! Chris Simpson is a poetic genius with intelligent and insightful lyrics and his fabulously entertaining narration ! And the music...a wonderful blend of folk, country folk and even hard rock on the title track ! These guys can play and sing beautifully in all genres ! Linda Simpson's vocals are heavenly and the entire album is letter perfect !!!! Recommended highly to all music lovers ! 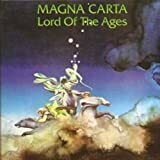 I can't wait to listen to the next four albums by the magnificent Magna Carta ! Various Music Publications' Ratings - 5/5 My Rating 6/5 it's that good !!!! 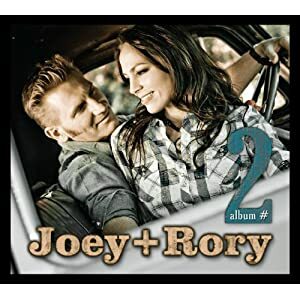 JOEY AND RORY "album #2", from the MH cd library, 2011.
one that MH picked out to listen to on our 'downtime' inbetween touring. its the second album release from husband/wife Kansas duo who were discovered whilst playing in bars in Nashville. its quite good for a country album,and im surprised that they stuck to a real country sound than that modern crossover sound that seems to be popular nowadays. all songs here are likeable upon my first listen with one that i love in Rory's reccolection of his dad "my ole man" which i love and its a real 'from the heart' song about their dad. i rate this one a 2.0 on initial airing, MH rates this one a very high 2.6 but he has heard this more times than me with 8 of the 12 tracks in the 'love' range for him. this one certainly has the ability to grow on me and is now on my "buy" list for the end of the year.